Integration testing - for integration testing several software functions are combined into a module or several modules and tested together. The first stage of module integration can be performed using a test tool with hardware supplied by the client. Tests can be simulated on the PC or performed on the desired hardware. 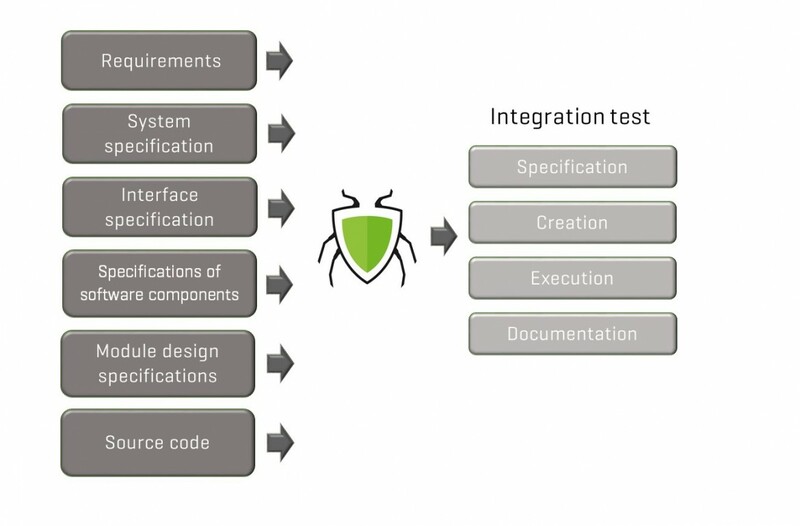 The integration test is more complex than unit test so a good specification for the integration testing is essential and we are able to prepare for the client to simplify this testing stage. Afterwards then deliver test specification, test reports, test set up and database. This way the customer can execute the tests again, for example for regression testing. If the customer is developing safety certified applications this test data can be delivered according to the safety specification with the relevant review documents saving a considerable amount of time in a project. What do you from us? You save valuable resources for testing. You reduce the time to market your product. You avoid the cost of purchasing testing tools. You avoid the training costs of integration testing staff. You receive full test documentation. You receive tests carried out by an independent group.